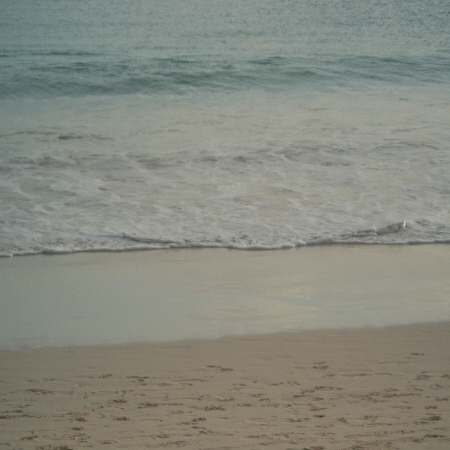 Stroll The Beaches Of Barbados! There are no private beaches in Barbados. All can be accessed by anyone. White, coral, pink? Pick a colour. 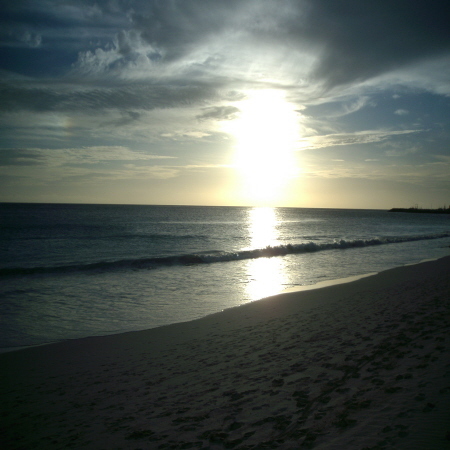 You will find soft sandy beaches along the diverse coasts of Barbados. Barbados is between the Caribbean Sea, which is the calm side and the Atlantic Ocean. The raging Atlantic is on the east side. On The Caribbean side, head for Carlisle Bay and Batt's Rock in St. Michael, Gibbs or Gibbes Beach and Mullins Bay in the Parish of St. Peter, Crane's Beach in St. Philip, and Paynes Bay and Holetown in St. James. Many resorts, hotels and villas are found on the Caribbean side, near or on white sandy beaches, ideal for water sports. The East Coast or Atlantic side is rugged with rock formations, but also has nice beaches for sunbathers, swimmers and surfers. 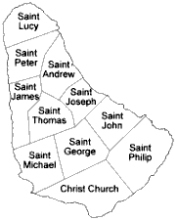 The parishes of the Caribbean coast, from south to north, an the west side, are, Christ Church, St. Michael, St. James and St. Peter. The parishes from north to south, on the Atlantic coast or east side are St. Lucy, St. Andrew, St. Joseph, St. John and St. Philip. Long Beach, near the international airport, has a good beach for surfing and kite surfing. Inch Marlow Beach, good for surfing and windsurfing. Silver Sands Beach, offers shower and change facilities. 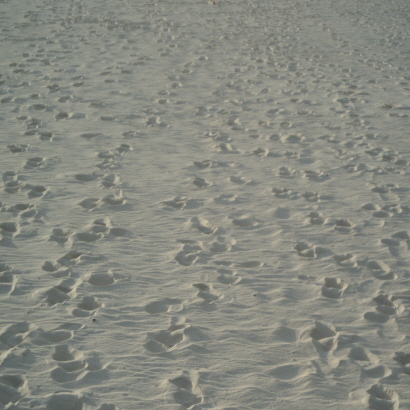 White sand beach to the east of the South Point Lighthouse. Also surfing is good. Silver Rock Beach-Round Rock. Has lifeguards. Good for surfing and windsurfing. Cotton House Bay, good for swimming. Enterprise-Miami Beach. Lifeguards are on duty and there's vehicular access. Great for swimming. Maxwell Beach. Vehicles are permitted. This area is a mix of residences and hotels. Dover Beach, good swimming with lifeguards. Vehicles are permitted. The area has been developed with a new boardwalk, beach facilities, food and a shopping area. St. Lawrence Gap, (The Gap) A popular place! You can find nightclubs, bars, restaurants and accommodation. Worthing Beach, a great place to swim, as well as for watersports. It offers changing facilities. Sandy Beach, nice for swimming and relaxing with the family. Hastings Rocks offers shower and change facilities as well as vehicular access. Drill Hall offers vehicular access. Good area for boarders or surfers. Pebbles Beach offers shower and change facilities as well as vehicular access. Swim, sun, gaze! ... Perfect place to do it! Needhams Point has great windsurfing conditions during the North American winter! Carlisle Bay is where you can search for hidden treasure under water! It's a picture-perfect beach. Good for boarders and divers. Brandons Beach, do everything or do nothing. Take part in watersport activities, swim, lie on the beach, or not! Offered are shower and change facilities as well as vehicular access. Brighton Beach. Perfect beach with lifeguards on duty. Visit the Cockspur Beach Club, take a tour of the Malibu Rum manufacturing facilities and do some taste testing! Paradise Beach is another great beach with lifeguards. Also provides vehicular access. Batts Rock Bay has vehicular access. You can swim, snorkel or just relax on the beautiful beach! Watersports are popular. Fitts Village. Offers shower and change facilities. Snorkel and swim here. There are restaurants and bars on the beach. Paynes Bay is where you will find many luxury hotels, resorts and villas. There are lifeguards on duty, offers shower and change facilities as well. Swim or snorkel! Sandy Lane Bay. Rent a jet ski! The beach has lifeguards on duty. Mullins Beach, swim, snorkel or lie in the sun! Lifeguards are on duty. Heywoods Beach, for swimming, snorkeling or doing nothing! Morgan Lewis Beach is not great for swimming, however you can surf or ride or take part in some other activity. Barclays Park Beach is a popular beach for surfing. Offers shower and change facilities as well as vehicular access. Cattlewash Beach is great for surfing. If you must swim, there are lifeguards on duty. Hotels rooms are available here. Bathsheba Beach & "Soup Bowl" for surfers! There are lifeguards on duty, shower and change facilities are available and there's vehicular access. Bath Beach for surfing and swimming. Lifeguards are on duty, there are shower and change facilities. Vehicles are permitted. Culpepper Island for swimming and surfing. Bottom Bay, a combination of cliffs, trees and beach. It's not a great place to swim, however lifeguards are on duty. Sam Lord's castle is good for boarders as well as swimmers. Care Bay, good for boarders. Crane Beach, good for boarders and swimmers. There's a lifeguard on duty. Foul Beach, good for boarders. There's vehicular access.